This unusual ring is one of my favorites. Not for the value of the metal or the stone but for the general overall design. It comes from Avon, circa 1980s and is in MINT, never used condition. 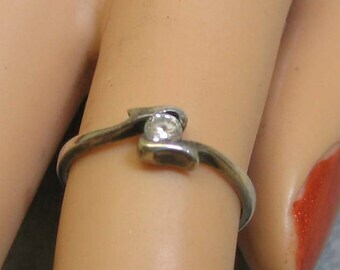 The ring is slightly adjustable with the an inside ring adjuster that makes this go from a size 5 1/2 to a 6 1/2. 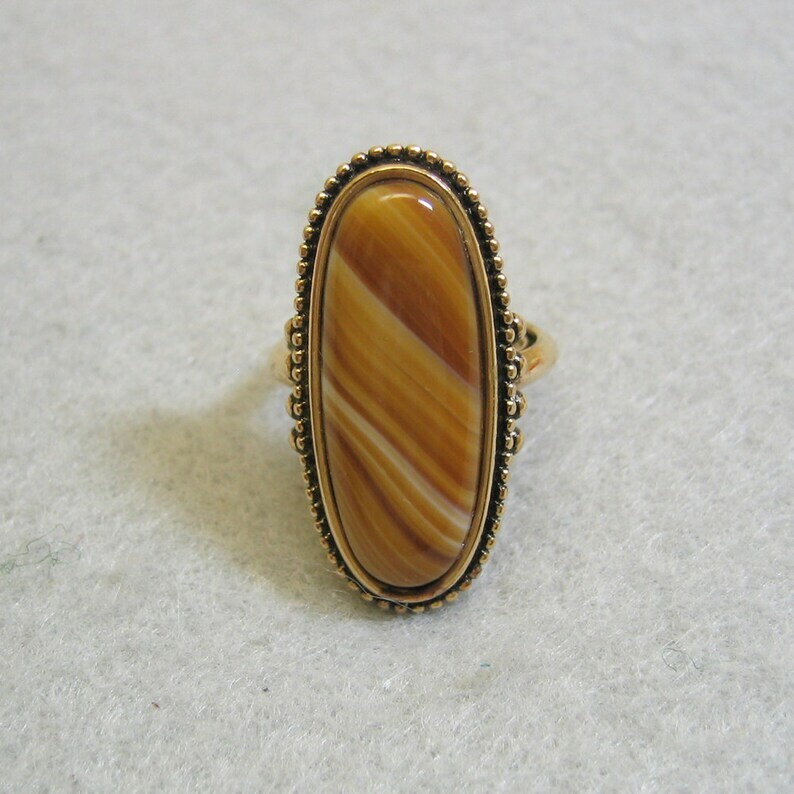 The warm brown and white striped stone matches everything and anything in your fall wardrobe. The front of the ring measures 1 1/4 inches long by 9/16ths inches wide. The metal is goldplated and the ring is signed, AVON. We will mail this in a lovely gift box for easy gift giving.